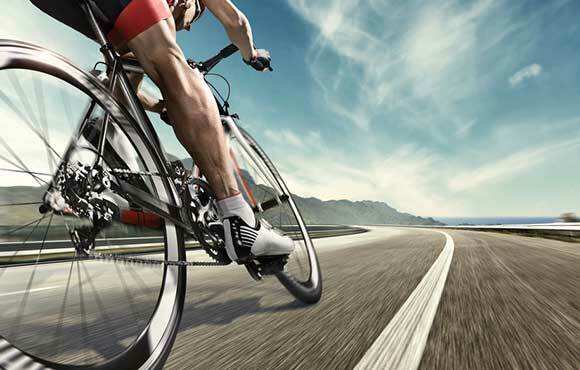 While most people start cycling for different reasons, two common benefits to taking part in the sport are increased fitness and staying trim. But just because you ride your bike a few times a week doesn't mean you can eat whatever you want to. In fact, most beginning cyclists make the mistake of overeating because they feel good about the exercise that they've done, making the workout counterproductive to weight loss. Here are eight tips that will help you lose weight by eating right and riding your bike instead of quick fixes and gimmicks. 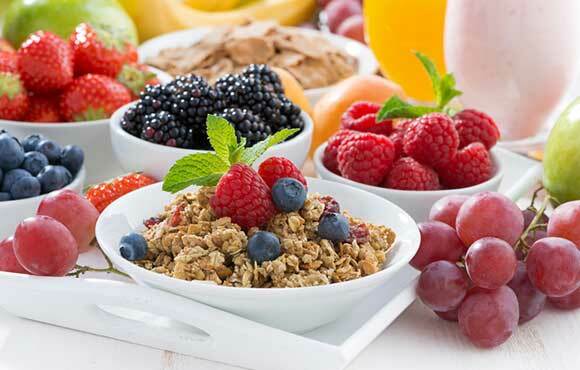 Nothing kick-starts your metabolism like a big, healthy breakfast. If you skip breakfast, you not only won't have the fuel you'll need to ride, but you'll also make your body hold onto its fat stores instead of burning them. Starving the body of food causes the metabolic process in the body to save what it might need for a later date, and in most cases this means fat—just the thing you want to lose the most. The French are famous for putting on more clothing than needed to stay warm and to make the body sweat more. While you might notice a drop in the pounds, it is not good to lose weight by dehydration, especially for cyclists. Take off the leg warmers and jacket in mild temperatures and keep the body hydrated. You'll need the fluids to ride further, which is the key to burning calories. More and more people are noticing unwanted symptoms from the overconsumption of gluten. You don't have to have a gluten allergy in order to limit how much processed wheat you're eating, and the results may have some benefit. 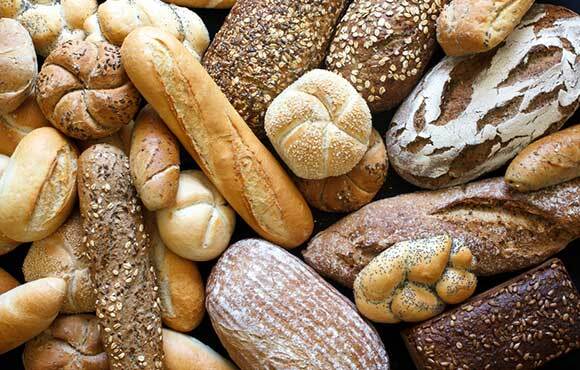 Limiting gluten will naturally decrease how much processed foods, bread and baked goods you're consuming. On the bike, it will also help you from feeling bloated during hard efforts. If you have noticed problems similar to these, you might want to also look for energy bars that are gluten-free or try bringing food such as bananas, oranges or potatoes instead. 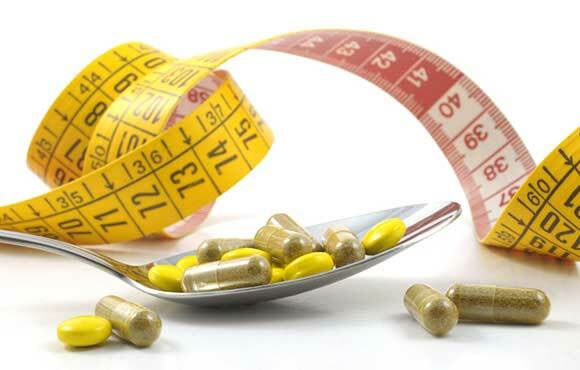 Supplements claiming to help you lose weight fall into the quick-fix category. It is rare for a supplement to keep weight off in the long term because of what it rids your body of. Essential fats and other vital minerals are often flushed out of the body along with some of the bad stuff, which can decrease performance. 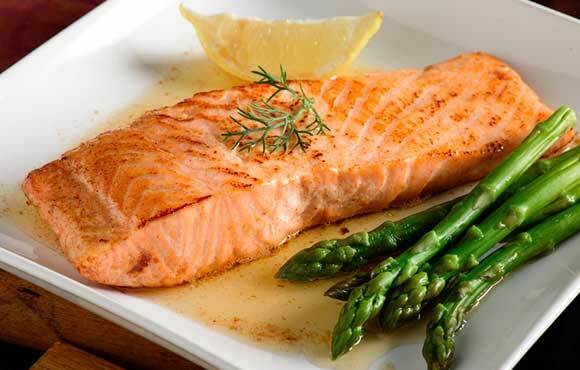 Vegetables and lean protein like chicken or fish should be a staple of any good cyclist's diet. Rather than loading up on nutritional supplements, try getting most of your vitamins and protein from food. The absorption rate is better, and by giving your body what it needs through the food you eat will make you feel a lot better too. And if your body feels good, you'll ride longer, which will help you burn more calories. It may also help with the junk food cravings. It's common for new cyclists to skip out on food during a ride because of all the obstacles eating and exercise can present. 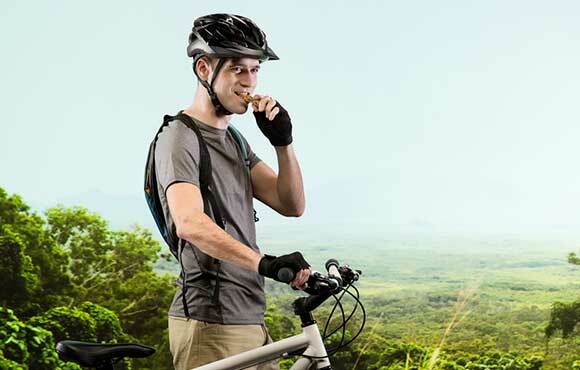 However, eating while on the bike has proven to improve performance, especially on long rides, and can also help to curb overeating afterwards. By keeping your hunger in check, you'll be less hungry when you get home, which might keep you from overeating. 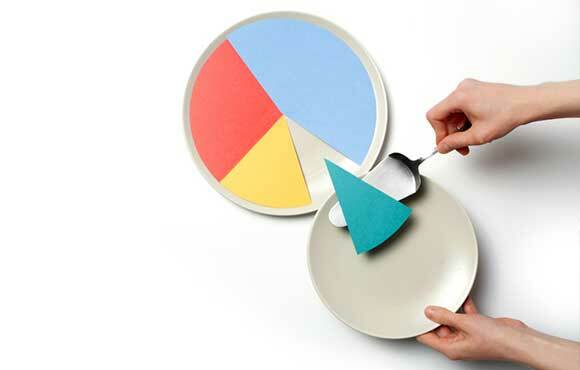 When trying to eat healthy, it's a mistake to cut out foods that you enjoy just because they may not be good for you. Going without chocolate or beer will only make your cravings for them worse, which will probably lead to an eventual night of binge eating or drinking. Instead of starving your body of the occasional treat, limit your portions. It's okay to reward yourself for your hard work every now and then. Just remember to try and do it in moderation. Studies have shown that post-exercise oxygen consumption can trigger the burning of fat stores. The key to kick your body into overdrive after a long or easy ride is to do a few hard efforts right before you finish. This will keep your body consuming oxygen even after you're finished with your workout on the bike, and the fat will continue to burn.